On September 21, 2018, the University of Kentucky College of Engineering Extended Campus at Paducah will celebrate its 20th anniversary. As founders and donors reflect on the campus’s history and values, they’ll remember how it all began: Steve Polston’s problem. In 1992 Polston worked as the plant manager of the Lockheed Martin Uranium Enrichment Plant in Paducah. Each year, about 20 percent of his engineering staff would leave, typically moving away to obtain the continuing education necessary for career advancement. In the face of a serious economic crisis for an important region of the Commonwealth, Polston came up with a seemingly ludicrous solution—an engineering school in Paducah. Immediately, Polston got two key players on his side: Frederick Paxton, the owner of Paxton Media, and Len O’Hara, the president of Paducah Community College. Together they led the initial drive, meeting with lieutenant governor Paul Patton and pitching the idea to the local Chamber of Commerce. The playing field then shifted to Frankfort, as they lobbied with state legislative committees, many of whom staunchly opposed the idea. To tackle this challenge, the men understood the need to get influential leaders on their side. They met with UK president Charles Wethington and College of Engineering dean Thomas Lester, earning their essential support. Lester took a lead role in the action. Six long years later, the Paducah campus opened its doors. Today, 200 students call it their home. 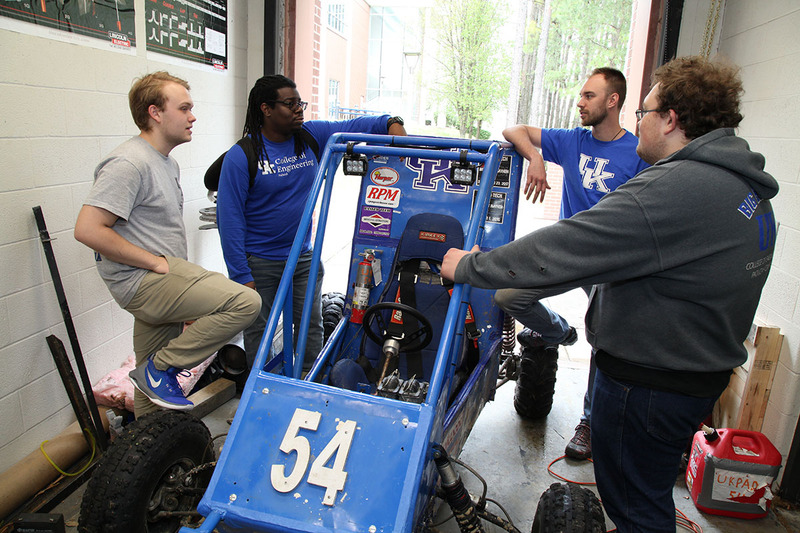 The campus offers undergraduate degree options in chemical and mechanical engineering, as well as several graduate student options for mechanical engineering. Located on the West Kentucky Community and Technical College campus, Crounse Hall, the Crisp Building and the Fred Paxton Engineering Research Wing, the campus houses thousands of square feet of classroom space, award-winning offices and advanced research facilities. On September 21, 2018, the UK Paducah program will celebrate 20 years of success and value to the local region with a reception and ceremony. Director David Silverstein has been planning the event for the past two years. During the event Silverstein plans to discuss the program’s achievements and cast a vision for its future.